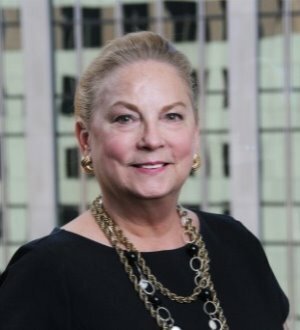 Anne C. Dranginis retired as an Associate Judge of the Connecticut Appellate Court on January 31, 2006, to become a principal at Rome McGuigan, P.C. She received her undergraduate degree in 1969 from Manhattanville College, Purchase, N.Y., and received a J.D. at the University of Connecticut School of Law in 1972. Anne Dranginis practiced with the firm of Rome and Case in Bloomfield, Connecticut until 1977 when she became the first woman Assistant State's Attorney for the Connecticut Superior Court. She prosecuted major felonies for eight years, including the prosecution of Charles "Buck" Thurman, whose wife, Tracy was brutally beaten, and which case spurred the development of family violence laws throughout the country. She was appointed in 1985 to the Connecticut Superior Court, and in 2000, she was elevated to the Appellate Court. Judge Dranginis served in all capacities as a trial judge, including serving as Presiding Criminal Judge for Part A (major felonies) in Waterbury and Litchfield. She was the Administrative Judge in Litchfield from 1990-1994, where she presided over the declaratory judgment case testing the constitutionality of the assault weapon ban, and the challenge to the State's "hunter harassment" statute. She was specially assigned to preside over Connecticut's so-called "Right to Die" case. In 1994, she was appointed the Chief Administrative Judge for Family Matters for the Connecticut Superior Court, and led the changes in family practice which provided for automatic orders upon the filing of dissolution or custody complaints. The family case management system required counsel and the parties to agree and communicate with the court on deadlines for discovery and ADR, and trial dates. The Practice Book revisions allowed the family dockets statewide to be within guidelines established by the American Bar Association. Anne Dranginis is a member of the Litchfield County, Hartford County, and Connecticut Bar Associations serving as Secretary from 2009-2010, the Chair of the Connecticut Bar Examining Committee, and is on the Board of the Children's Charities of America, the federation of charities in the Combined Federal Campaign and the Connecticut Women's Education & Legal Fund ("CWEALF"), the advisory board of the Susan B. Anthony Project, Torrington, CT, Prime Time House in Torrington, CT, and served on the Governor's Commission on Custody, Divorce and Children as Co-Chair from 2001-2002 .